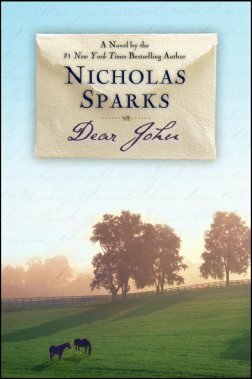 The concepts captured in the storyline of Nicholas Sparks' 2006 novel Dear John are intriguing with potential for the exploration of a variety of contemporary themes. Sparks places his characters in the midst of the aftermath of September 11th, attempting to craft a classic romance of enduring love despite heartbreak. However, his characterizations and storytelling fail to match the high standard of complexity that the nature of the plot entails, which consequently results in an infantile product that ultimately lacks substance and relies too heavily on a bland formula. To describe the plot as "standard" would effectively be an affront to literary standards; the plot is actually substandard due to its triteness. Given the novel's post-9/11 setting and its interaction with modern psychological issues such as autistic spectrum disorders, the outline of the story possessed the capability of addressing current issues with a mature and enlightened perspective. Rather, Sparks forgoes a prime opportunity to explore fascinating sociological constructs in favor of an underdeveloped and lazily written romance. For example, the protagonist's father was quite randomly diagnosed with Asperger's Syndrome partway through the novel as a means of justifying his neurotic habits. From the outset of this arbitrary diagnosis, it seemed as though the author was consciously creating a character in the framework of a disease summary he found on a medical website. The father character is not the only example of Sparks' sterile and inauthentic style. Both the main character of rebel-turned-hero John Tyree and Southern belle Savannah Lynn Curtis are anachronistic archetypes. If the characters had been infused with actual nuance instead of oversimplification, Sparks' portrait would have conveyed a more sympathetic tone. The events of September 11th, the U.S. occupation of Iraq, an oft-misunderstood psychiatric disorder, and life in the working-class South are all simultaneously occurring events in Dear John and could have been extensively examined in a more anthropologically descriptive manner. Sparks evades such techniques in favor of a formulaic melodrama, thereby surrendering the hallmarks of an engrossing and rich story. The events are predictable, with a plot line appearing to have been written on a worksheet passed out in a high school creative writing class. The characters are simply shallow, as the reader is actually able to finish the novel without envisioning faces. Such stylistic flaws fashion a thin novel that fails to connect with its audience, which is the negation of a love story's fundamental mission. My Rating: 1 star (of a possible 5). A missed opportunity.